Impressive numbers, even if dwarfed by the $6 million or so reported by Bernie Sanders and now Beto O’Rourke. The seven-digit figures for the lesser-known Democratic hopefuls don’t lie, but they don’t tell the whole story either. 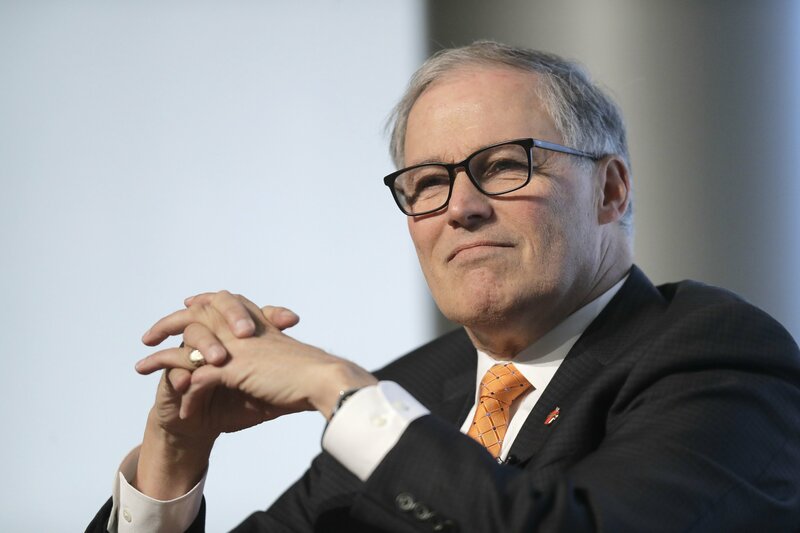 Early bursts of donations don’t happen by accident, especially for candidates with little national name recognition such as Inslee, who hit his target thanks in part to an email list of donors he’s cultivated for months. He’s among a crowded field of more than a dozen Democrats who are feverishly trying to show they can raise big money and realistically challenge Republican President Donald Trump. With the first-quarter fundraising deadline looming, some are straining credulity to give the impression of a spontaneous groundswell of support. Candidates like Vermont Sen. Sanders and former Texas Rep. O’Rourke have used their star power to quickly raise astronomical sums. O’Rourke announced on Monday that he edged Sanders by pulling in $6.1 million in the 24 hours after his launch. Michael Duncan, a Republican digital strategist, said numbers posted by lesser-known candidates are likely to be less grassroots and more “the campaign equivalent of AstroTurf.” But Duncan, who formerly handled digital strategy for the insurgent tea party group FreedomWorks, said it was a shrewd tactic. Particularly now that the Democratic National Committee is using online fundraising, with an emphasis on low-dollar contributions spread out across many donors to qualify for the debate stage. Most campaigns won’t offer specifics on how they reached their mark. News releases sent out at the time shed some light, however. Klobuchar’s campaign said it raised $1 million in 48 hours from “online and grassroots” supporters in all states, but did not break the numbers down further. Inslee launched his campaign on a Friday and announced the following Monday that he had reached the mark, with donations coming from all 50 states. Hickenlooper’s campaign said it reached the figure in less than 48 hours and received donations from all 50. His campaign wouldn’t offer specifics. But touting the number was a no-brainer, said spokeswoman Lauren Hitt. “Of course we thought it was important in our launch to show he is the more-than-viable candidate we know,” she said. Though $1 million is a lot to most, raising that much isn’t as difficult as it may seem. It could be reached if about 357 donors cut checks for the $2,800 primary maximum. And lining up support from longtime donors in advance could go a long way toward getting a candidate close. Zac Moffatt, Mitt Romney’s 2012 digital director, said the focus now will be whether they can keep it up. “The question would be: what is Act II?” he said.